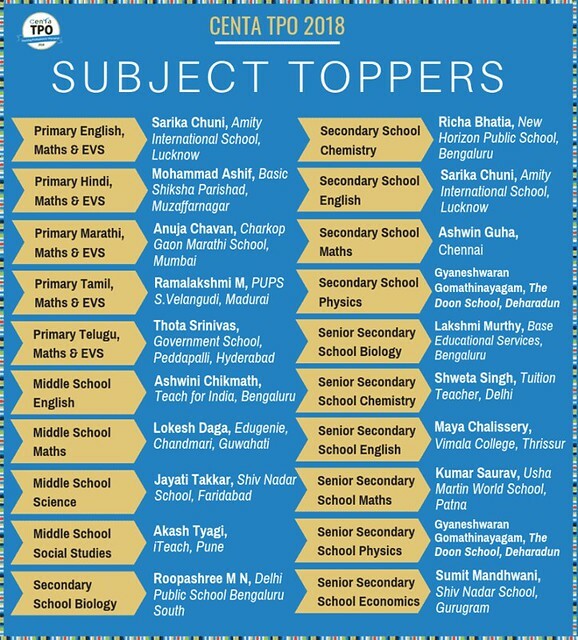 CENTA TPO Result 2018 has been declared on 30 January 2019 for CENTA Teaching Professionals’ Olympiad Exam i.e. conducted for teachers of government and private schools. The exam was held in 47 cities across India and an additional centre in Dubai, with 21 subject tracks offered on 8 December 2018. The CENTA TPO Result 2018 is available on this page below, the candidates would be able to check the result by following the link given on this page below. 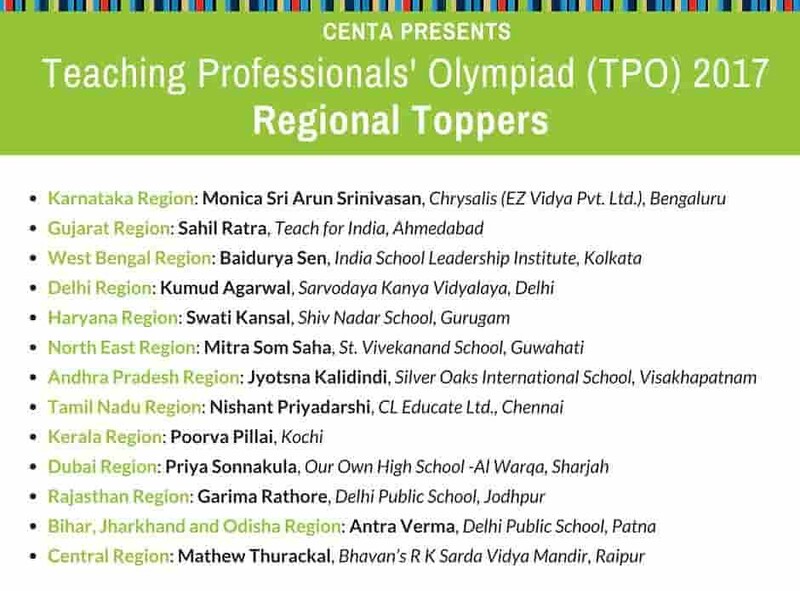 The winners of CENTA Teaching Professionals’ Olympiad will be awarded various cash prizes and many other benefits. 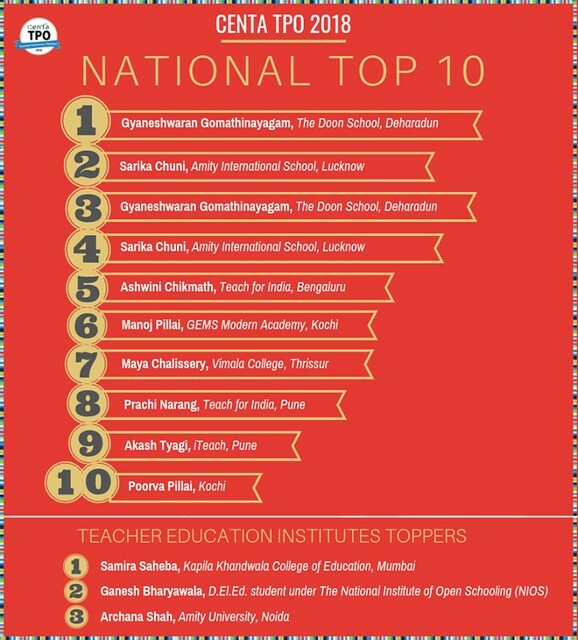 Every participant will receive a Confidential Performance Report with insights on scores and how he/she fared against other teachers at a national level, along with inputs to assist in professional development. The CENTA TPO Result 2018 has been declared. The result was declared on CENTA TPO FB page. The exam was held in 47 cities across India and an additional centre in Dubai, with 21 subject tracks. The candidates who appeared in the exam conducted on 8 December 2018 would be able to check the result by following the link given below. Candidates have been selected on the basis of their rank in the CENTA TPO examination. The rank distribution is mentioned below.